Princess P wears many hats: that of the chef (being one by trade), that of the record store clerk (at Basel’s premier address Plattfon), and that wild one of the DJ, made out of twirled headphone cables (playing primarily house music). For a long time, too, she has been sporting that one, her first girl formation “Tribal Kids” being formed when she was just sixteen. She then went on to manage her own club, later transforming it into her event series “Dolce”. 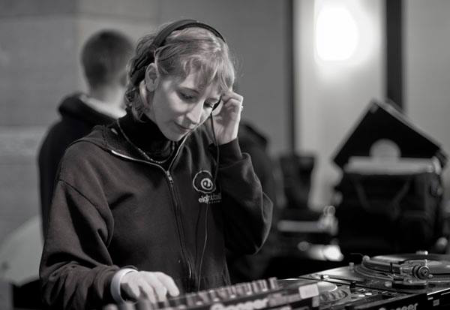 Asked to comment on the state of female selectors today, she is quick to point out that, in marked contrast to popular opinion, she believes that due to the vastly grown number of DJs trying to get a foot in the door of the clubs, it has actually gotten harder for lady-DJs to be appreciated for talent rather than just their female attributes.